In the history of machines, the range of evolution is something beyond our imagination. Whenever something new technologies come to the market, users can get something better and smarter than the previous versions of the machine. Change is the only constant thing in this universe, and that can be proved strongly when you look at the world of machine tools. Typically, machine tools are machines that are used to give proper shape and design to the metals by cutting, grinding, shearing, and boring them. The machine tool also uses some other techniques for the deformation of the metals as per the needs of the industry. With the advent of modern technologies, the journey of machine tools becomes more interesting. It goes from mechanical to electronics and then beyond that. In the history of machine tools you can find instruments like bow drills, potter’s wheel and others. These were used in the period known as BC. With the passing course of time, people understand that the more complex a machine can be the better production it can offer. With this realization, a separate industry of machine tools builders is formed who are specialized in making and selling advanced kind of machine tools only. Then they tried to build separate machine tools for different industries like textile, medical, engineering, automobile, and many more others. All these industries now can get parts and components as per their individual needs. When you follow the journey of machine tools to understand the pattern of its evolution, then you have to understand the factors that work behind this progress. The transformation of machine tools from simple to the complex ones is the proof of technical advancement. Earlier there were mechanical tools, and most of them need human help to be run. With the development of the technologies, now you can have electronics machine tools that do not need any human assistance to perform. There are semi-automatic/fully automatic machine tools that can work in a better way than their ancestors. The main motto of this transformation is to save the time and money of the users. The factories that have advanced machine tools do not need to employ too much manpower to operate those machines. These electronic machines can get their power from other sources than human muscles. There are electrically or hydraulically run machine tools that can perform 20 times faster than the older versions. Thus, these machines can save the time and money of the owners to a great extent. Since the human effort becomes almost nil in these machines, the production becomes more and more seamless. Machines hardly make mistakes. 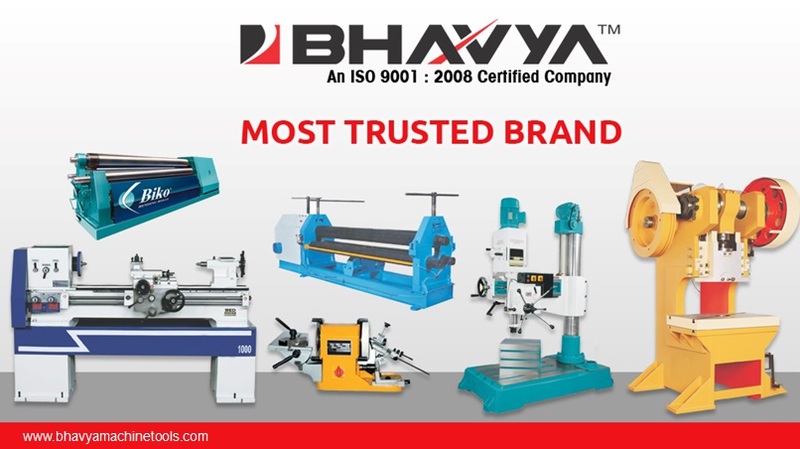 Therefore, you can expect perfect and accurate shaping or designing of various components of other machines and manufacturing equipment. To obtain a more précised production in the factories owners must need the specific machine tools. That is why the evolution of these machine tools becomes highly significant in the modern era where perfection is mandatory.